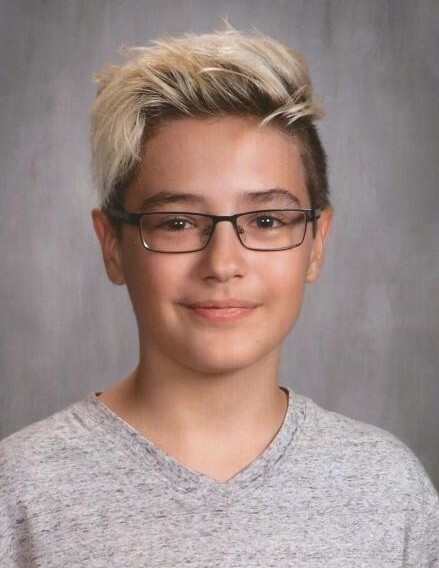 Obituary for Michael J. Pils | Joseph W. Nickels Funeral Home, Inc.
Michael J. Pils, 14, of Herminie, passed away Thursday, Jan. 17, 2019, surrounded by his family, in Excela Health Westmoreland Hospital, Greensburg, after his courageous battle with cancer. He was born Dec. 28, 2004, in Jeannette, beloved son of Richard and Debra (Metz) Pils; special brother to Nicholas (fiancee, Becca Culver) Brandenburg, of North Carolina, Danica Pils, of Herminie, and Cameron Pils, at home; beloved grandson to George and Sandy Metz, of North Huntingdon; special nephew to Robert (Debbie) Pils, of Maryland, Patricia (Frank) Chapman, of South Carolina, Linda (Norman) Lachimia, of Irwin, Janice Metz, of Sutersville, and Vicki (Kenny) Ankney, of Lowber; and numerous cousins and special friends. He was preceded in death by his paternal grandparents, Douglas Pils and Jean Batterson. Michael was a student at the Yough Middle School and was a member of St. Edward Church. He was the most caring and loving son, brother, and grandson and the greatest friend you could ever have. He enjoyed playing with his dog "Buddy," hanging with his friends in his cool man-cave and collecting his many pairs of sneakers, but most of all, spending time at the Outer Banks with his family was always first on his list of places to go. Michael's smile and laughter, which went along with his amusing sense of humor, will be forever remembered, and his bravery and fight for life will never be forgotten, like his new favorite songs, "Let it Be" and "Take Me Home, Country Roads." The family would like to thank the countless friends, old and new, the doctors and nurses, Make A Wish, Jamie's Dream Team, and Carson's Hope, along with the volunteers and caregivers that have been on this journey with Michael over the past six months, there are no words to express how much it has meant. Friends will be received from 5 to 8 p.m. Sunday and from 2 to 8 p.m. Monday at the JOSEPH W. NICKELS FUNERAL HOME INC., 404 Sewickley Ave., Herminie, PA 15637, 724-446-7251. A funeral Mass will be celebrated at 11 a.m. Tuesday, in St. Edward Church in Herminie. Please go directly to church. In lieu of flowers, please make donations to Reflections of Grace, P.O. Box 298, Irwin, PA 15642, contact@reflectionsofgrace.org, in memory of Michael. To send online condolences, please visit http://www.nickelsfuneralhomeinc.com.